Fighting the fear of missing out (FOMO) is a serious challenge, but it’s easier than you think to fight FOMO for things now when there’s something in the future you know you don’t want to miss out on. We have already identified retirement and home ownership as two things that you know you don’t want to miss out on in your future. [bctt tweet=”Don’t let the Fear Of Missing Out wreck your future at the expense of the present.” #FOMO]Let’s look at one last thing you are sure to not want to miss in your future. Fight FOMO to feed your financial future — rather than your financial ruin. Fifty-eight percent of millennials live paycheck-to-paycheck. That’s a stressful life. The constant worry about making rent and paying for basics can contribute to stress and lower quality of life. It’s an experience, that anyone who has experienced is sure to report, it’s not much fun. Many millennials see this constant scramble as emblematic of their generation’s lifestyle, but it doesn’t have to be that way. Start by setting aside a little bit of money in an emergency fund. Even something as simple as this can help you begin to escape that cycle. 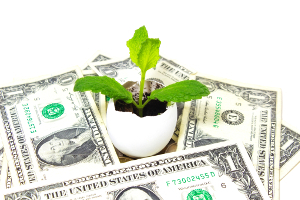 A few hundred dollars in a savings account can provide a great deal of peace of mind. It’s a tremendous comfort to know that, even if an unexpected expense crops up, you’ve got rent and other basics covered. Financial security is an experience just like going to a live show or a craft beer festival. The difference is that it’s an ongoing, long-lasting one. There is no closing time, and there is no last call. Unlike a live show or a beer festival, becoming secure in your finances won’t leave you with a ringing ears or hangover the next morning either. But becoming secure in your finances will make it easier for you to have the kind of experiences you want without leaving you living paycheck to paycheck. To truly fight FOMO is not easy. Don’t use another generational acronym, YOLO (You Only Live Once) as an excuse to not think about the future. You must realize, you only live once to have the kind of experiences you want to have during your entire lifetime. It doesn’t mean you have to have them all right now. As you live your life, you can’t go back and study harder or go back and save more for retirement. You can still live an enthusiastic, out-loud life as you fight FOMO – just do it in a financially responsible way. If you’re interested in your financial future, find someone knowledgeable who can help you plan for home ownership or retirement. Any great experience, whether it’s living debt-free or retiring early, can be a little easier when fight FOMO.